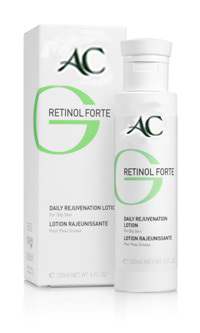 Retinol Forte skin care line combines the advantages of AHA active ingredients with Retinol. 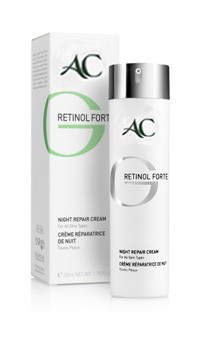 Retinol, produced from vitamin A, penetrates the epidermis and stimulates cell renewal. The combination of these two components produces in a matter of weeks a healthier, fresher and glowing skin. 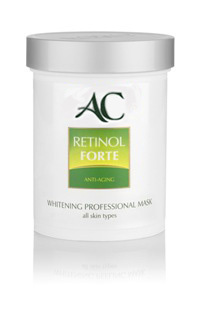 Visible improvement, without the side effects of redness and scaling, typical to Retin A. After 28 days the results of clinical tests under scientific standards show: 1. 65% improvement in overall skin appearance 2. 85% improvement in photodamaged skin 3. 75% decrease in wrinkle depth 4. 55% increase in epidermal thickness.